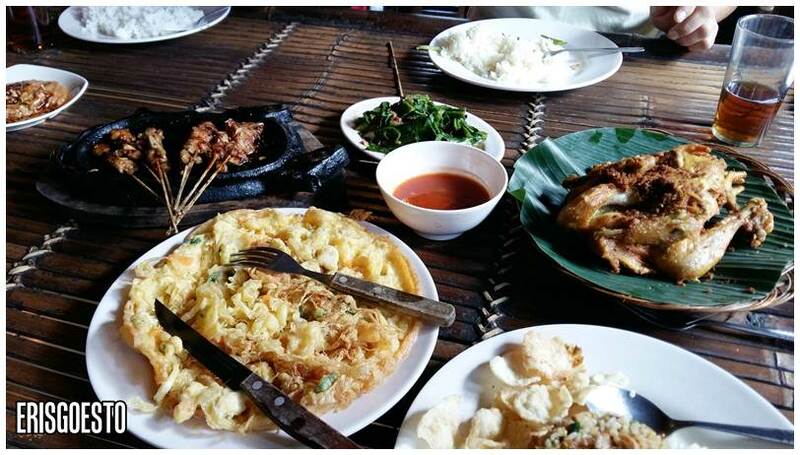 After half a day exploring Bandung’s southern district of Ciwidey, we were ready for lunch. 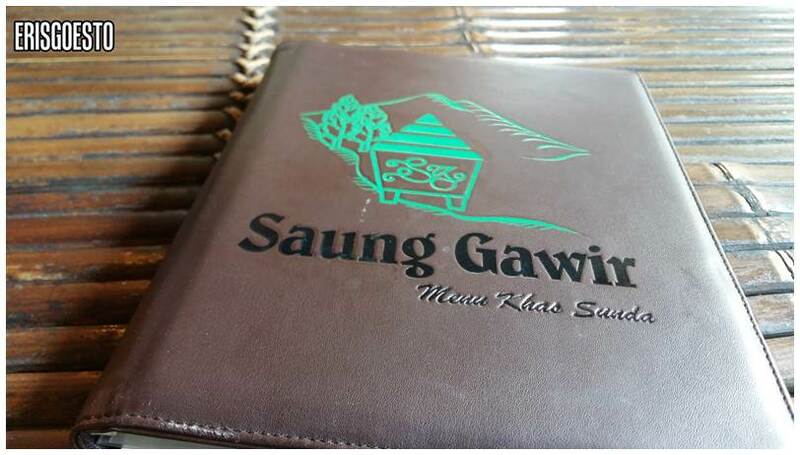 Our stop was a local resto called Saung Gawir, which specializes in Sundanese cuisine. Located on the hillside, the place has a nice view of the gentle slopes, but parents wanted to sit in the shade so we sat inside ._. 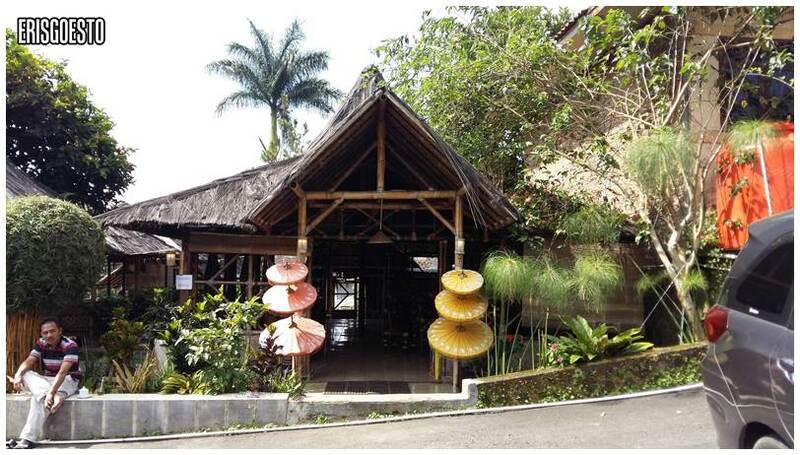 The simple structure is built from bamboo and leaves; as are the chairs and tables. 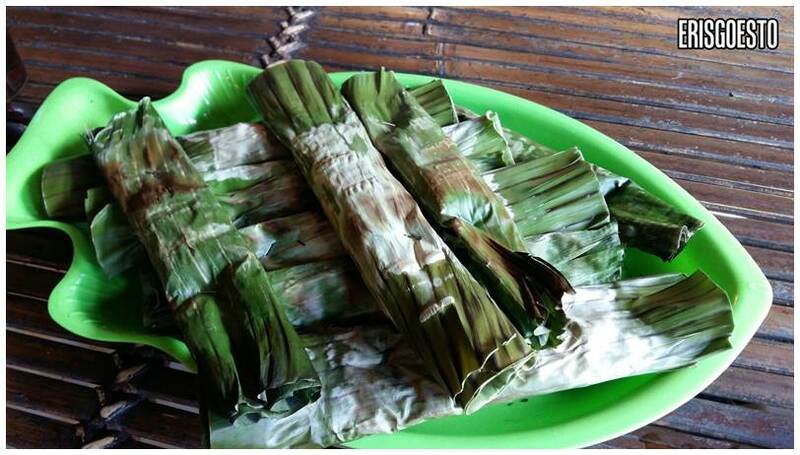 Kicked off with some appetizers, the local otak-otak. 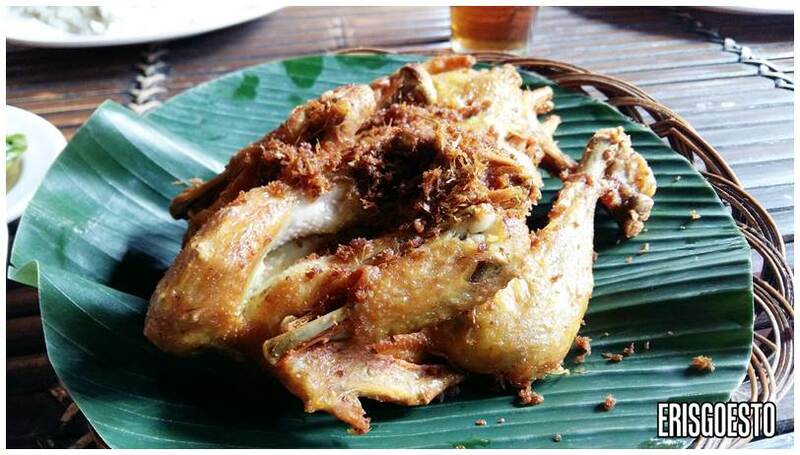 The Malaysian version uses fish paste and has a distinct orange tint from chillies, turmeric and curry powder. 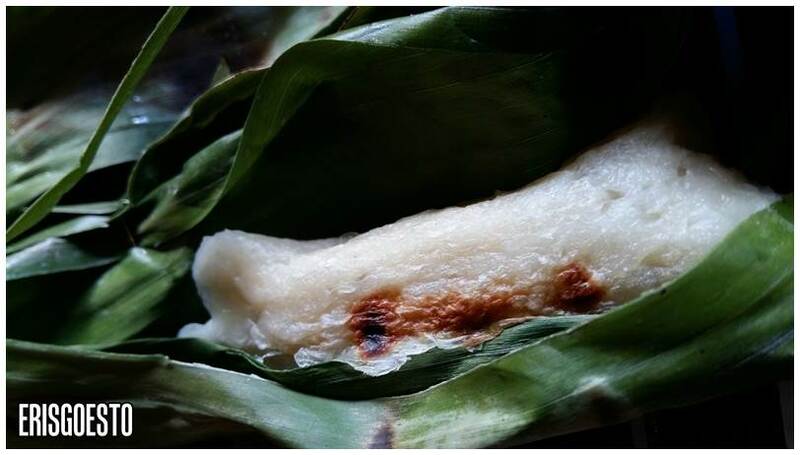 The Indonesian version is white and less spicy, but also come wrapped in banana leaves. They served it with a sauce that tasted like Indian white bean dip – sour, minty and refreshing. 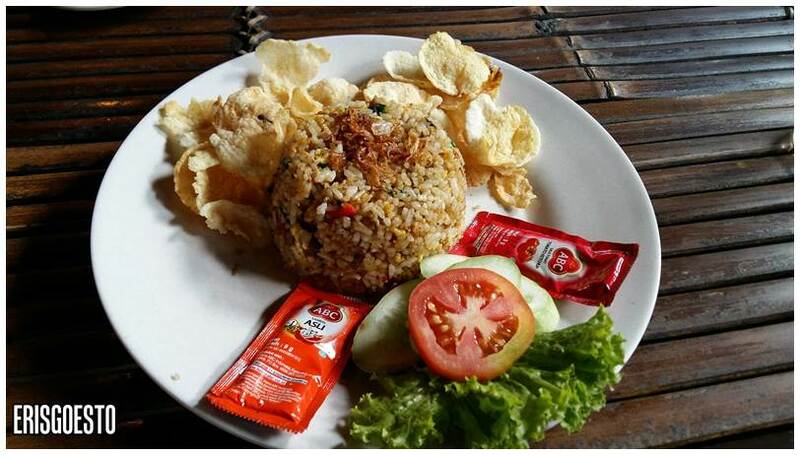 Mutton fried rice. 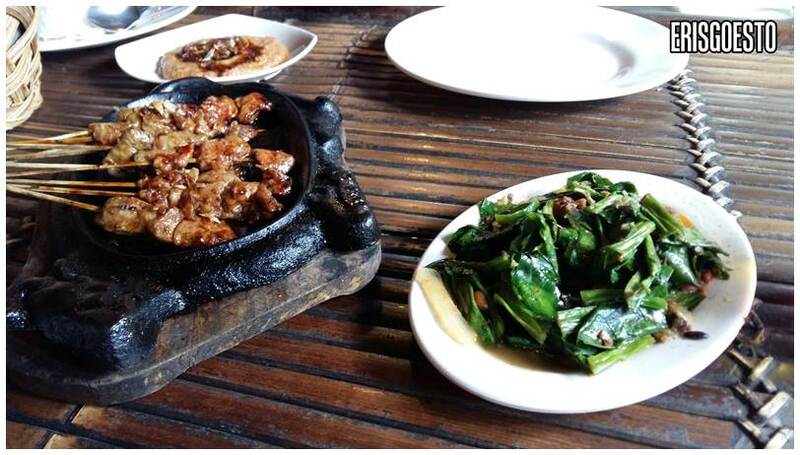 It was Fragrant and filled with generous chunks of tender mutton. I didn’t really like the crackers that came with the dish coz it had a bitter aftertaste. Some okay-tasting stir fried veggies, and lamb/chicken satay. The latter was the bomb, especially the lamb. Tender and juicy with the right amount of lean and fat, smothered in a sweet and savoury sauce that was like a cross between teriyaki and BBQ. 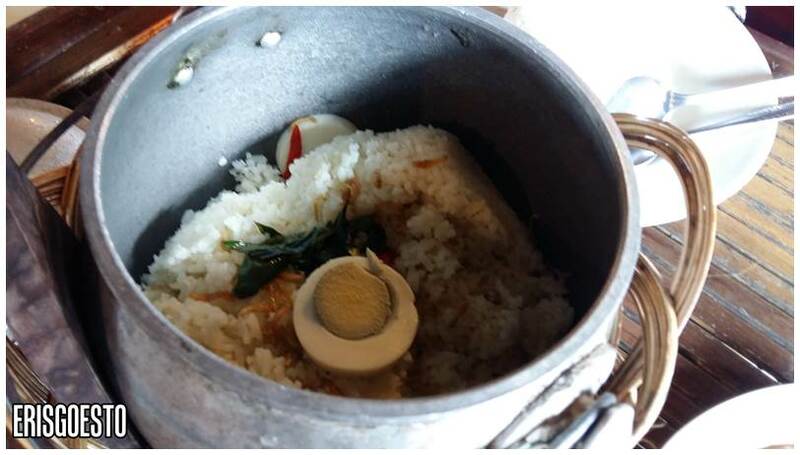 Everyone else had some sort of rice from a metal pot with egg, chillies, onions and herbs in it. 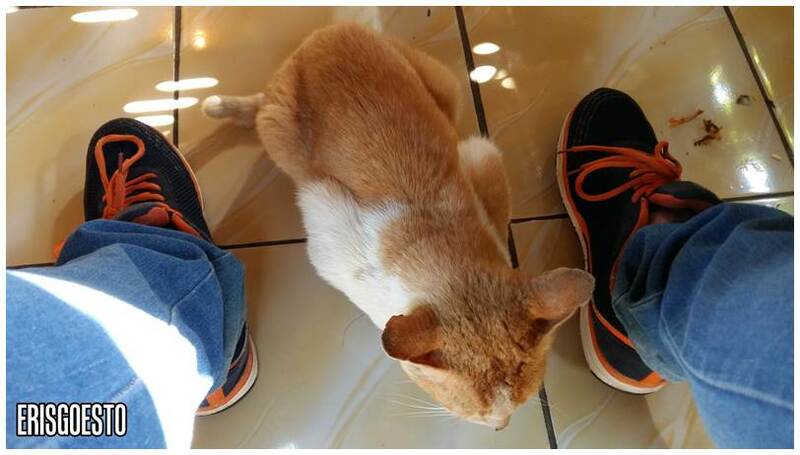 Really fragrant, like nasi lemak. 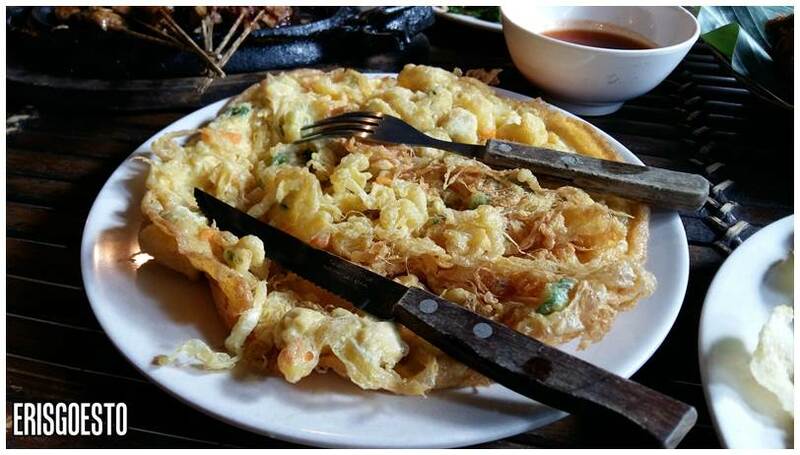 Fuyong egg – fried with veggies and shrimp – was fluffy and crispy. Nothing to complain about here..